Who doesn’t love dessert? For most of us, nothing beats a delicious treat that can end off any savoury meal on a perfectly sweet note. 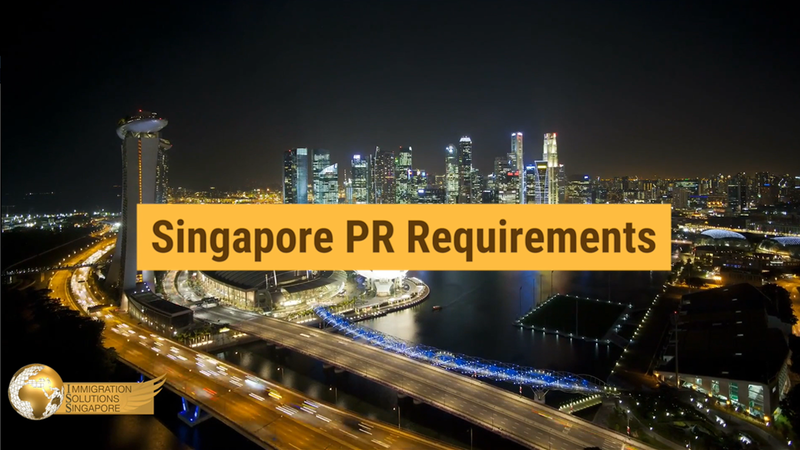 While ice-cream, cakes and waffles are absolutely scrumptious options, you may want to open up your dessert palette when you are living in Singapore, as this veritable melting pot has a plethora of diverse yet equally divine traditional desserts on offer. There is not enough space in this one article to possibly list all of the desserts that you can and should be indulging in but, nevertheless, we had to try. Here are eight tasty options to start you off on your epicurean journey in Singapore (in no particular order): Tao Suan, Ice Kachang, Chendol, Cheng Tng, Green Bean Soup, Putu Piring, Ah Balling and Ondeh Ondeh. Tao Suan is a delightfully sweet and sticky hot dessert soup that consists of split mung beans (which must be cooked to a soft yet crunchy consistency—too soft and they become mush) that swim in a clear yet thick sweet syrup, which is topped with a crispy slices of fried dough fritters called You tiao. To try this hearty and comforting dessert at a popular local stall, visit Tiong Bahru Tao Suan at the Tiong Bahru Hawker Centre. Their opening hours are from 7:30am to 3:30pm (closed on Tuesday) but may sell out before then. Ice Kachang is usually one of the first things that come to mind when locals think of traditional desserts. Because of the warm weather, nothing beats a mountain of sweetened ice to make your day. It’s more than just sweetened ice chips, of course. Ice Kachang consists of attap chee, sweet corn, red beans, grass jelly, cendol and coloured cubes of agar agar. They can also consist of nata de coco or aloe vera and be topped with ice cream. This array of items are topped with a generous layer of shaved ice, which is traditionally drizzled with gula melaka syrup and evaporated milk. But these days, it’s much more common to find brightly coloured syrup (pink, green, blue) on the ice, turning it into a fun rainbow of colours that delights children of all ages. Cendol is another well-loved and celebrated dessert in Singapore. Cendol consists of green, jelly-like strips made primarily from mung bean flour and the juice from pandan leaves. The Cendol is then served usually in a bowl or glass with sweet and salty coconut milk, gula melaka syrup and shaved ice. 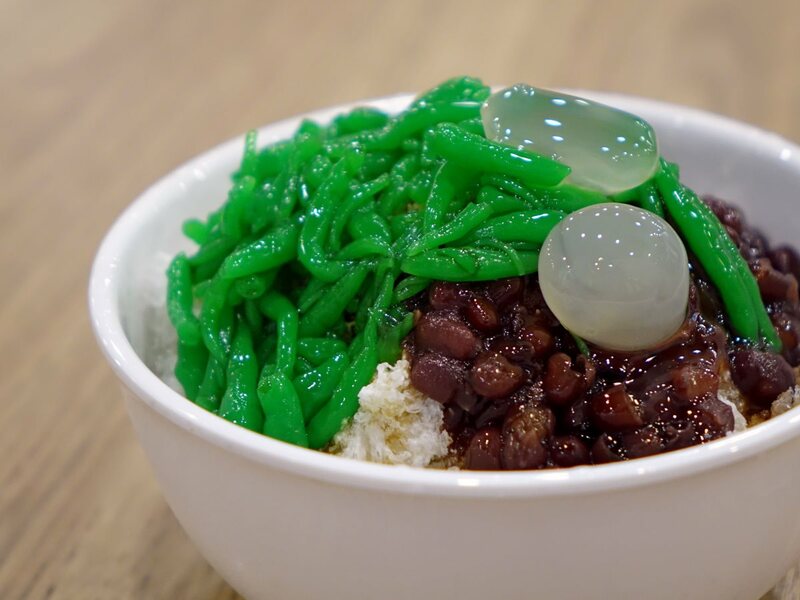 Many places in Singapore serve Cendol with red beans, but there are those who consider that an abomination! Frankly, it’s a matter of taste and some people prefer it with red beans and some prefer them without. For the original Cendol without the red beans, check out the corner stall at the Geylang Serai market, which takes pride in not including red beans in their cendol! Cheng Tng is a light and sweet, soupy dessert that is consumed either hot or cold. It typically consists of gingko nuts, dried longan, red dates, lotus seeds, white fungus, dried persimmon, barley, sago seeds, jelly strips, sweet potato, gula melaka and rock sugar. Cheng Tng is nutritious, not cloyingly sweet and as you can see from above, consists of a generous list of ingredients. Unfortunately, there are many stalls out there these days that may skimp on the ingredients and overload on the sugar. For a good bowl of Cheng Tng, you can head over to No Name Cheng Tng at Blk 69, Bedok South Ave 3. Sometimes simple is best. And Green Bean Soup with Sago is one such example. This soup consists of green mung beans and sago pearls that are boiled in a sugar syrup together with pandan leaves and dried orange peel for superior fragrance and flavour. This hot bowl of goodness will leave you feeling warm, soothed and satisfied. If Putu Piring and Kueh Tutu were people, they would be classified as cousins. Putu Piring and Kueh Tutu are both round and fluffy steamed cakes made from rice flour. The former is the Malay version, which consists of gula melaka filling that is topped with shreds of dessicated coconut. The latter is the chinese version, and is usually smaller and consists of a range of different fillings, usually coconut or peanut. These cakes are usually steamed in under a minute right in front of you and watching the cooks at work as they churn out piece after piece can be a mesmerising affair. These traditional desserts are a favourite with both adults and children. From kueh lapis to kueh salat, Nonya kueh-kueh are classic traditional desserts that are well-loved in Singapore. One of the perennial favourites is ondeh-ondeh, which are soft and chewy, pandan-flavoured balls that are covered in dessicated coconut and filled with sweet, gooey gula melaka. These bite-sized morsels may be popped into your mouth; then wait for the flavour explosion as you sink your teeth into it.